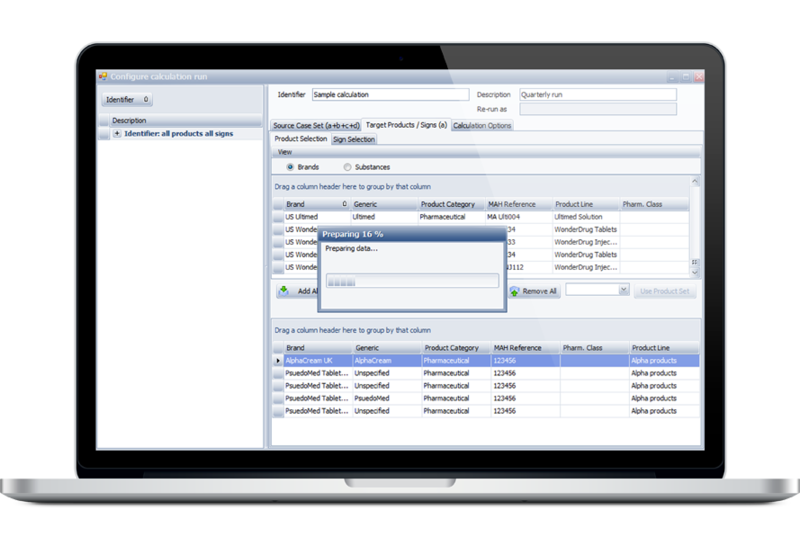 Ennov’s Pharmacovigilance suite keeps the collection, management, assessment, and reporting of human or veterinary adverse events in one unified database while also providing advanced signal detection and PV data analysis tools. Our software is currently being used by pharmaceutical, biological and device enterprises, contract manufacturers, CROs and leading health authorities around the world. 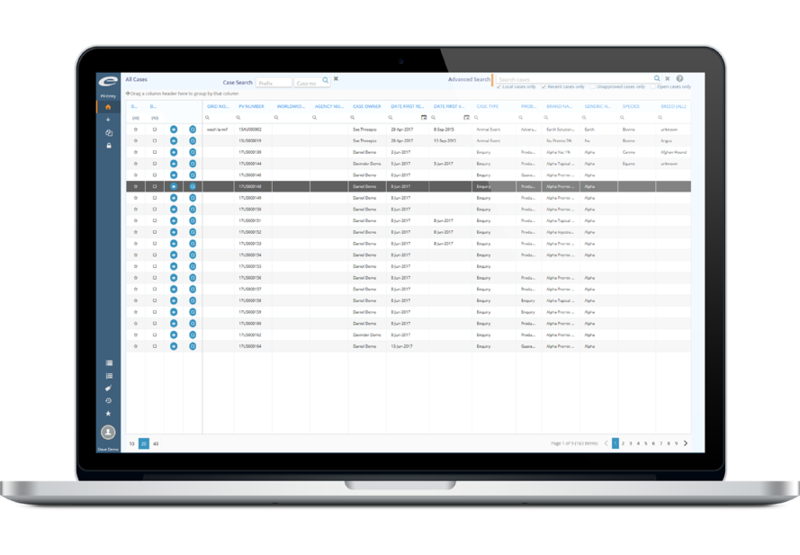 A single authoritative source: Manage and track all pharmacovigilance data within a single, unified database to to streamline PV operations and ensure regulatory compliance. Improved performance: Eliminate manual, paper-based processes and record keeping. Automate PV case intake to achieve productivity gains. Ensure compliance: Gain total confidence that all aspects of achieving and maintaining regulatory compliance, including electronic reporting, will be met. Increased visibility: Get a real-time overview of your safety database with dynamic metrics and dashboards. 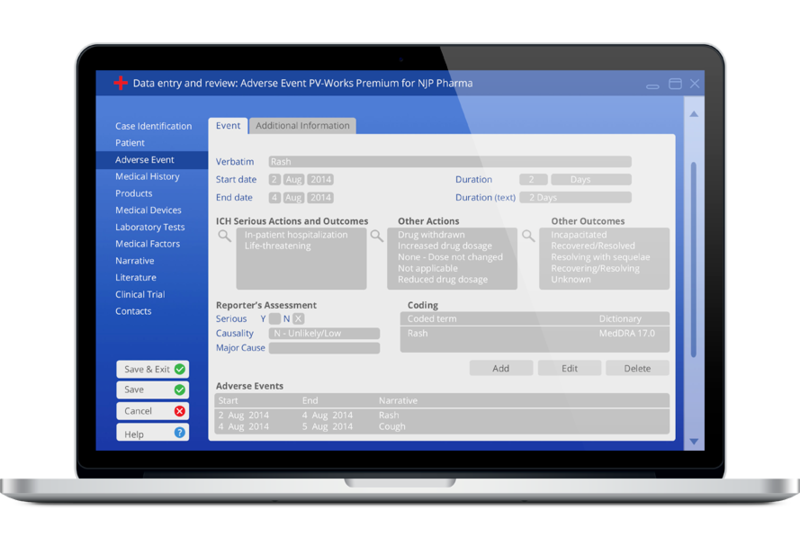 PV-Works Human is used by pharmaceutical companies, CROs, and Pharmacovigilance outsourcing service providers to record, report, and analyze clinical trial and post-marketing adverse events. PV-Works Human ensures the efficient and accurate intake of PV cases and seamlessly submits safety data to the FDA, EMA or other regulatory authorities worldwide via the supplied E2B compliant gateway. Make controlled assessments and apply standardized coding, all while maintaining complete regulatory compliance. All common single case and aggregate reporting formats are accessible. PV-Works (vet) is a flexible software system designed to support animal health / veterinary pharmacovigilance business processes and technical services case handling practices, while meeting the associated company safety and world-wide regulatory reporting requirements. In addition to simple yet comprehensive data entry and reporting functions, the fully integrated workflow functionality ensures SOP compliance and that critical reporting deadlines are met. PV-Works (vet) is used by the leading animal health companies worldwide to record, report and analyze adverse events. In addition, a number of key regulatory authorities have implemented the software to capture and analyze report submissions from industry, the general public and other sources. Implementing a process to identify potential signals is essential. PV-Analyzer is a comprehensive signal detection and data mining tool. 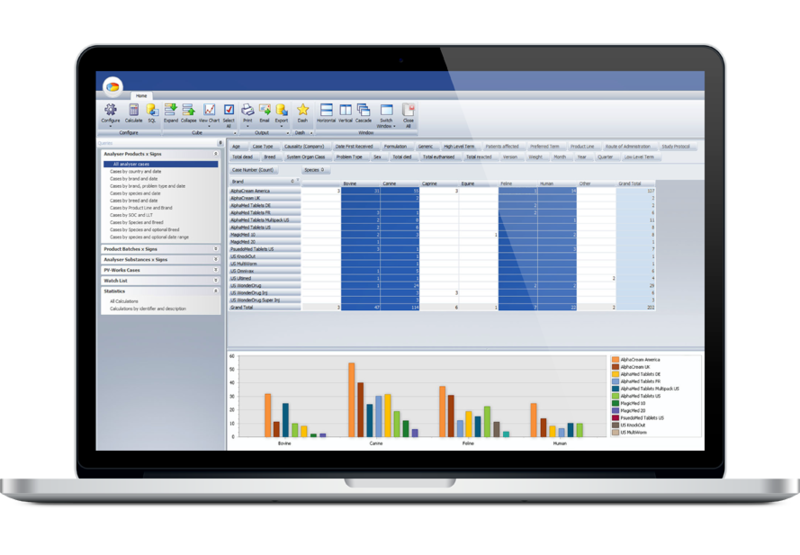 The application, designed for use out-of-the-box by business users, offers a broad array of statistics as well as powerful data cubing and visualisation functionality. With PV-Analyzer you can rapidly calculate key statistical measures that are widely used by regulatory authorities such as PRR, ROR, and MGPS and apply smart stratification to examine the database and detect where customizable thresholds have been exceeded. The application integrates easily with PV-Works, other PV solutions, and various external data sources to increase flexibility in preparing such important metrics. PV-Entry is a web based application designed to revolutionize pharmacovigilance case management. The interface has been optimized to meet the specific needs of those users engaged in receiving reports, entering data, and handling case follow-ups. Many functions have been developed in response to actual customer feedback to promote efficiency and improve the end user experience. Traditional PV systems have been focused on the needs of the data reviewers and users responsible for trending and analysis. PV-Entry is designed to work alongside PV-Works to maximise efficiency for those users responsible for handling large volumes of cases in high pressure call center environments. PV-Express is an extension to our PV-Works database that allows for the collection of case data from a variety of remote sources. Data can be captured in structured format using standard vocabulary lists, with very little end user training. Cases can be captured in local language and automatically translated at the time of import into the PV system. PV-Express can be deployed as a lightweight PDF file or as a dynamic browser-based web form optimized for smartphones and tablets.